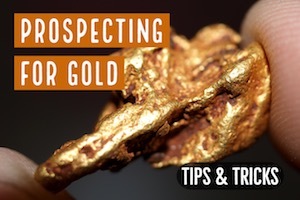 Who doesn’t wish to be rich overnight by discovering a treasure buried in the ground or by receiving a huge inheritance from a long lost relative? Stories such as these are incredibly fascinating as the very thought of becoming rich instantly is very tempting. Most of the times, however, these are merely stories and legends. We can all dream, but how often does it really happen. Can a person actually go out and find lost treasure? Extraordinary coincidences occur with ordinary people. Mysterious happenings that are truly awe-inspiring. 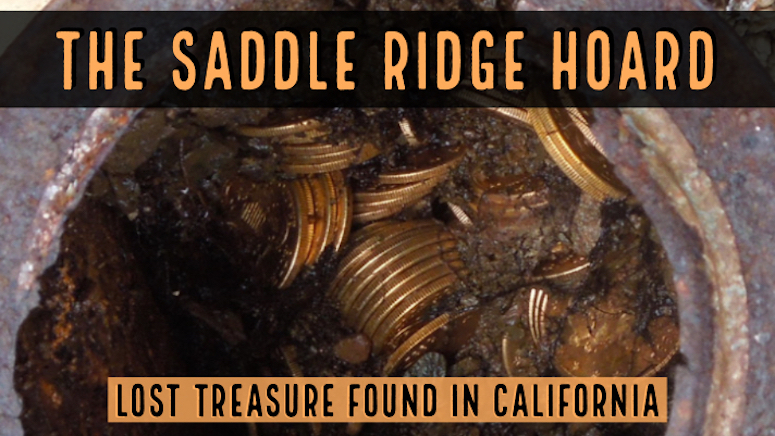 One amazing story is that of the Saddle Ridge Hoard, a cache of gold coins valued in the millions! 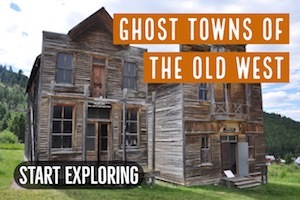 This discovery is a true lost treasure tale that would inspire even the most skeptical to keep an eye to the ground on their next walk. It made the finders instant millionaires! The Saddle Ridge hoard was discovered in February 2013, when a couple who owned the property were walking their dog in the morning. They spotted what appeared to be a rusted portion of a can and decided to unearth it. The rusted and deformed can was unusually heavy as if it were filled with iron or lead. It was very unusual and warranted further inspection. The can was so heavy that while taking it back to their house, the lid of the can be cracked to open and reveal glistening gold coins! Not the sort of thing that you stumble across on the average day! After that first can, the couple went back to the site to dig up the land in search of more cans filled with coins. Eventually, they unearthed a total of eight cans out from underground throughout their property on Saddle Ridge. The couple has (wisely) since chosen to remain anonymous, along with the exact location of their property. 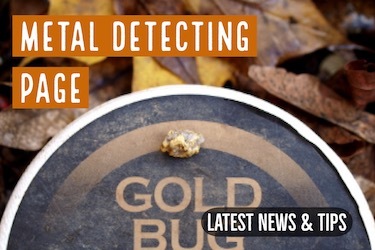 This is to prevent potential treasure hunters from illegally metal detecting their property for more lost treasures. 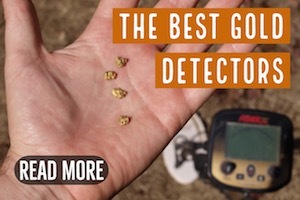 We do, however, know that the property is somewhere in rural California and the treasure appears to have been hidden beneath the ground somewhere between 1847 and 1894. Several old rusty cans containing the treasure of a lifetime! The Saddle Ridge Hoard contained over 1000 coins with an estimated total value of over $10 million dollars. What makes the Saddle Ridge Hoard so amazing is the sheer scale and value of the hoard. The hoard has a total of 1,411 gold coins with a total face value of $27,980. The hoard has $27,460 worth of twenty-dollar coins and just $500 and $20 worth of ten and five-dollar coins. Sounds unimpressive, right? Keep in mind those numbers are just the face value… which is actually just a fraction of the total value of these rare gold coins. The actual value of the coins in hoard has been estimated to stand at a whopping $10 million dollars. Now that is an impressive number! Imagine walking around and finding 10 million dollars in your backyard. Even if you were just considering the melt value, we are talking about pounds and pounds of gold here. But the amazing thing about the coins in the Saddle Ridge Hoard is that a lot of them are in mint condition and quite a few of them are extremely rare. Numismatists have evaluated the collection and stated that some individual coins area so rare that they are likely worth over $1 million dollars each! 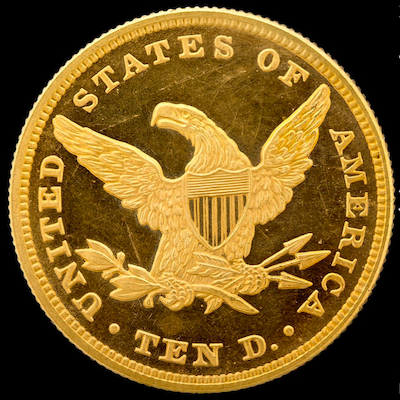 Most of the coins were minted after 1854 in San Francisco, and these coincide with the Gold Rush era. However, some coins are older and minted in Georgia making the origin of the hoard even more mysterious. As the coins in the hoard are in impeccable condition, with many of them not even showing signs of ever being in circulation, this has many people linking them to the 1901 San Francisco Mint robbery. The robbery was done by the mint’s employee, Walter Dimmick, who stole an estimated $30,000 worth of coins. The value seems close to the amount found in the hoard and would explain the excellent condition of the coins. Many have concluded that this is the most likely theory, but after a thorough investigation and research it has been concluded that there is no connection between the coins stolen by Dimmick and the coins found in the hoard. This means that the treasure is not the property of the US government and rightfully belongs to the people who have discovered it. Some people believe that the treasure is an outlaw’s stolen cache of gold. Jesse James and Black Bart, two very prominent highwaymen, are considered the major suspects. Both were well known for stealing from wealthy, and both had quite a prolific career. This is certainly possible, but its also an “easy” guess without much evidence behind it. Yes, these were well-known outlaws who did indeed steal and rob throughout the Old West. However, a direct connection with a specific robbery and these specific coins have not been found. The most plausible till date seems to be that a wealthy person hid the coins under their property for safe keeping. They apparently did not trust the back and choose instead to have the coins buried underground. This was certainly not unheard of during this time. People did not trust banks and it many people buried their valuables. 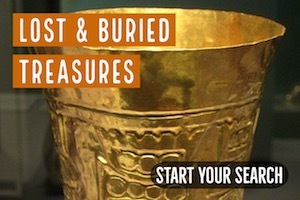 Eventually, the treasure was either forgotten or the owner died without telling anyone where it was buried. This is a very good theory and in my estimation it is the most likely to be true. There is a very good likelihood that we will never know with 100% certainty the true origin of the Saddle Ridge Hoard. We would like to think that people would have some idea of where thousands of gold coins might have come from. But is quite likely that a quiet recluse simply cached their life savings and then died, never telling anyone of his buried treasure. One thing is for sure, the anonymous couple from California who made the discovery of a lifetime! In fact, it is easily one of the greatest treasure finds of our generation. 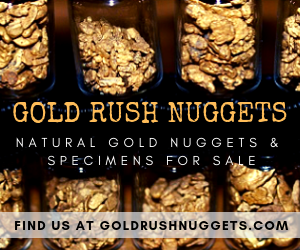 Over $10 million dollars worth of gold coins hidden in the California mountains… truly the kind of lost treasure tale that people dream about!